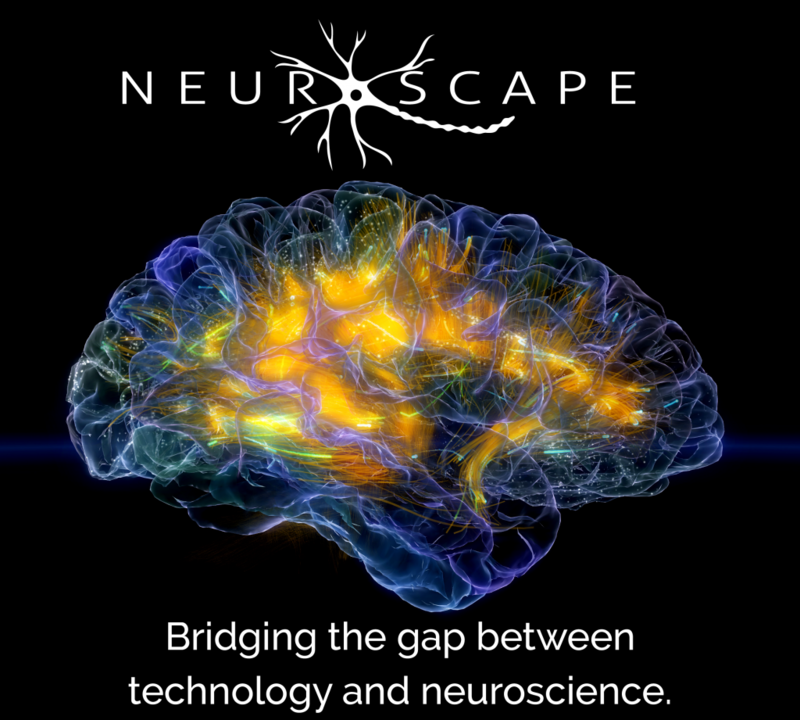 Neuroscape’s unique multidisciplinary approach involves the development of custom-designed, closed-loop systems that integrate recent technological advances in software (e.g., 3D video game engines, multimodal recording and brain computer interface algorithms) with the latest innovations in hardware (e.g., virtual reality, motion capture, GPU computing, wearable physiological recordings, and transcranial brain stimulation). Building effective closed-loop technologies necessitates collaborative development teams of experienced designers, programmers, multimedia engineers, UI experts, and artist/musicians, working closely with our Core scientists to generate engaging interactive experiences complete with adaptivity, rewards, art, music, and story. We have patent applications filed for our inventions and more in process. Prototypes for these inventions, as well as those still in the design phase, are then submitted to rigorous validation studies before being spun out of the lab to industry partners for more extensive testing and productization. All of the games developed at Neuroscape are research tools, not commercially available products. Neuroscape builds prototypes that are tested through scientific experiments to determine their effect on cognitive abilities. This is only the first step to creating a validated product for general use. If the results of our studies show significant improvement, we say there is a “signal” showing that this game may be able to improve cognitive abilities. Building a product based on the prototype is an expensive and time-consuming endeavor. Neuroscape, as an academic center, has neither the resources nor the objective to build and support commercial games. If a Neuroscape game has a signal, it may be licensed through UCSF to a company that is able to develop it into a viable product. The company may choose to make the game available or may take it to the next level of validation. 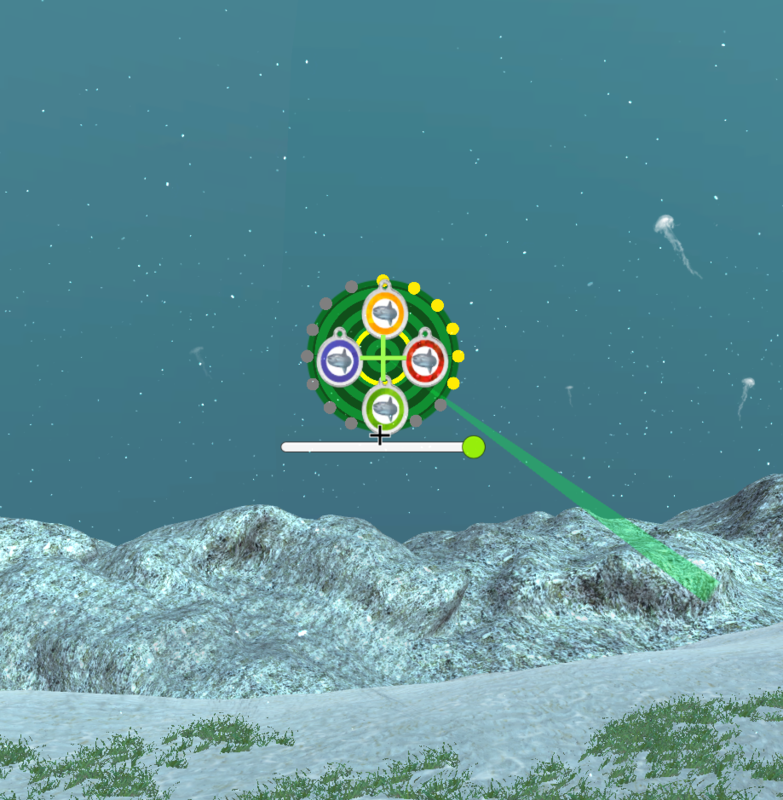 So far, the only game from our center that has reached that stage is Neuroracer. All the other games are still being tested in ongoing studies. Akili Interactive Labs is developing a clinical product in the form of a mobile video game (“Project: EVO”) that is based on the technology behind Neuroracer. The company is currently running clinical trials which will further validate the utility of the new game for use in specific populations. Until those trials are complete, the game will not be available to the general public. We encourage you to visit the Akili website for further news or additional inquiries. 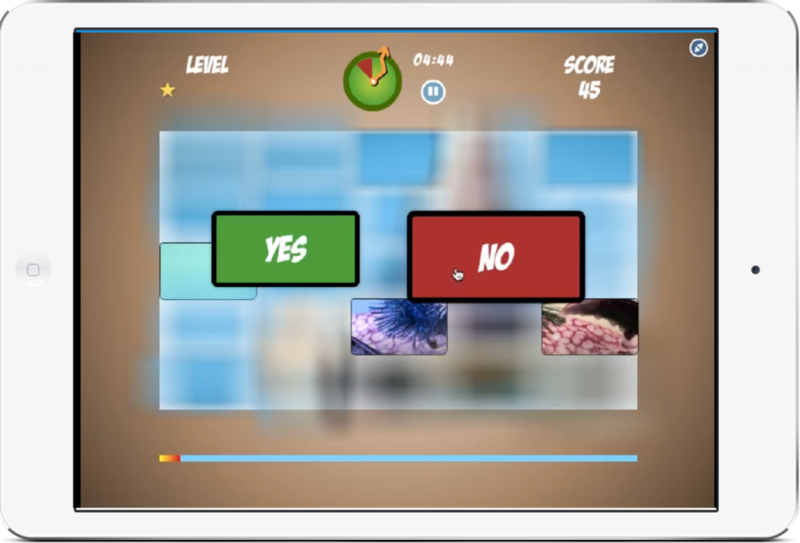 An engaging, interactive mobile cognitive assessment tool that evaluates multiple dimensions of cognitive control quickly and without ceiling or floor effects. 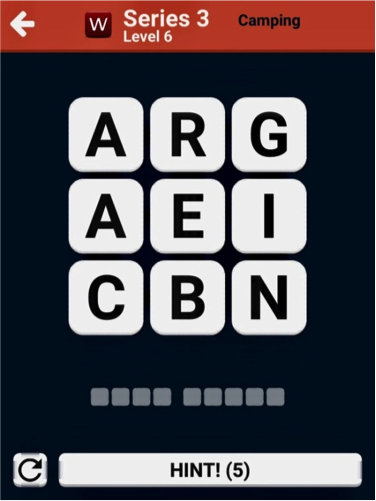 Adaptive Cognitive Evaluation, ACE, is a mobile cognitive control assessment battery inspired by decades of scientific research and Neuroscape experience measuring cognition in diverse populations. 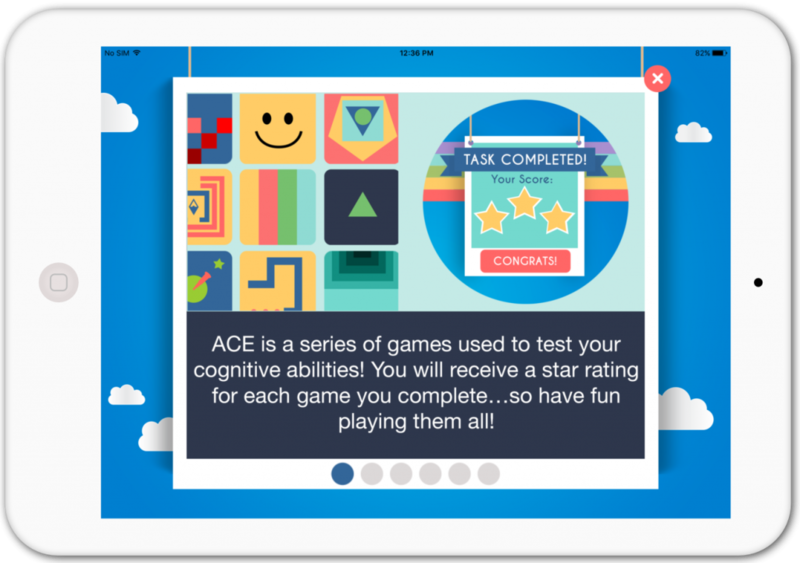 The tasks in ACE are standard tests that assess different aspects of cognitive control (attention, working memory, and goal management), modified by incorporating adaptive algorithms, immersive graphics, video tutorials, motivating feedback, and a user-friendly interface. 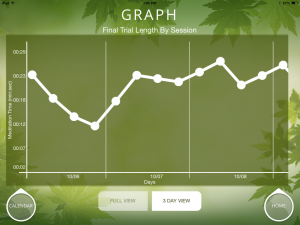 The adaptive algorithms allow each task to be completed in approximately 5 minutes and ensure that comparisons between individuals of different ages, genders, races, or cultures reflect actual differences in their cognitive ability and not disparities in the testing parameters or ceiling/floor effects. ACE can also be retaken any number of times to benchmark and track an individual’s changing cognitive control abilities over time. We plan to make ACE freely available to researchers, clinicians, educators, and the public worldwide with the goal of creating a large normative database that is shared openly. Beep Seeker was designed to improve the ability to filter distracting information, a critical skill for high-level performance across multiple domains. 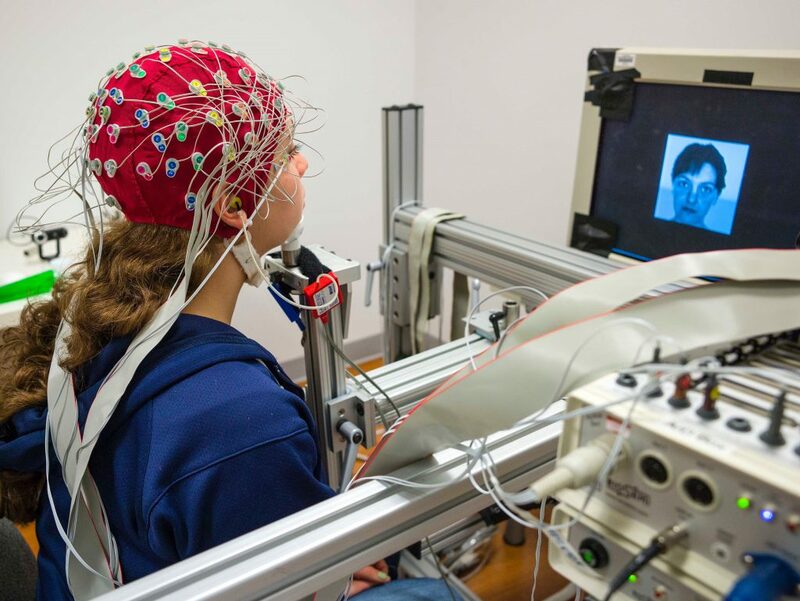 It was designed to be used by individuals of all ages and cognitive abilities, from children with ADHD to older adults, and also by experimental animals for basic research studies. 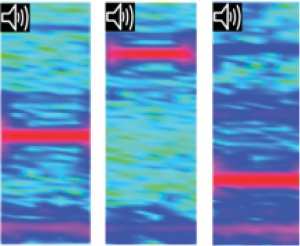 Game play involves the detection of auditory target in the presence of auditory distractors. 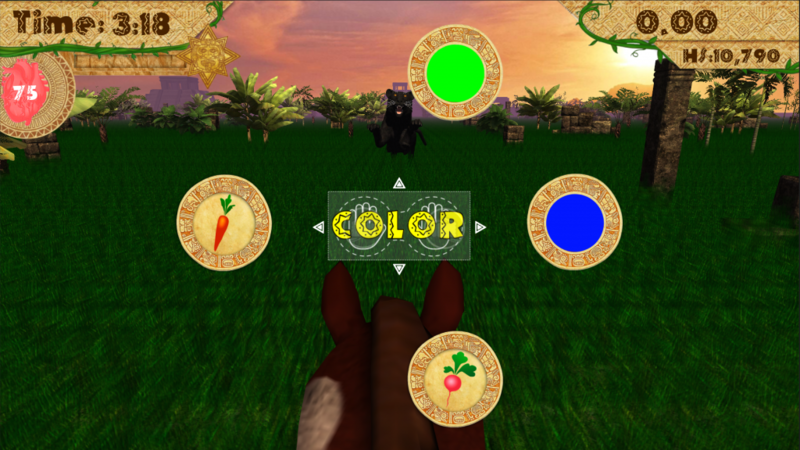 The game’s difficulty adjusts based on the participant’s performance. Mishra J, deVillers Sidani E, Merzenich MM, and Gazzaley A. Adaptive training diminishes distractibility in aging across species. Neuron 84: 1091- 1103. 2014. 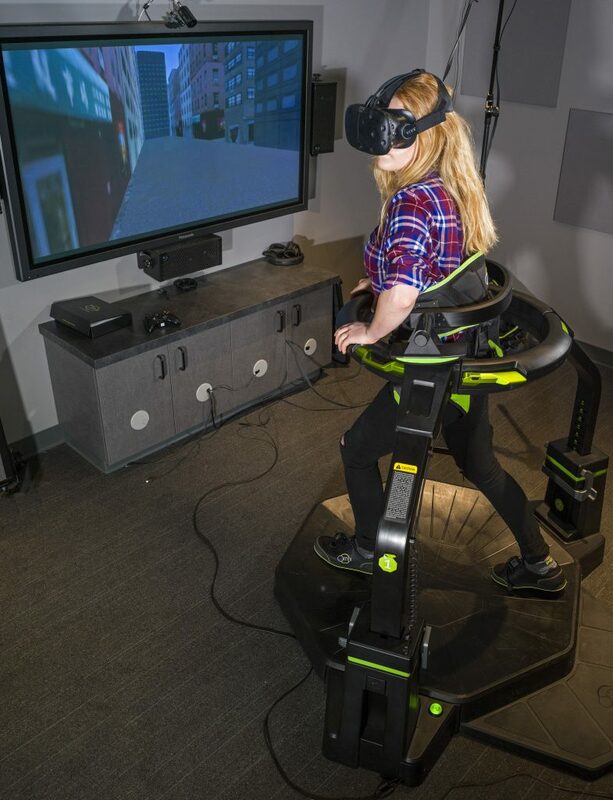 A full-body motion capture game that simultaneously pushes players physically and cognitively via adaptive algorithms that target heart rate and cognitive abilities, thus optimizing performance across both body and brain. 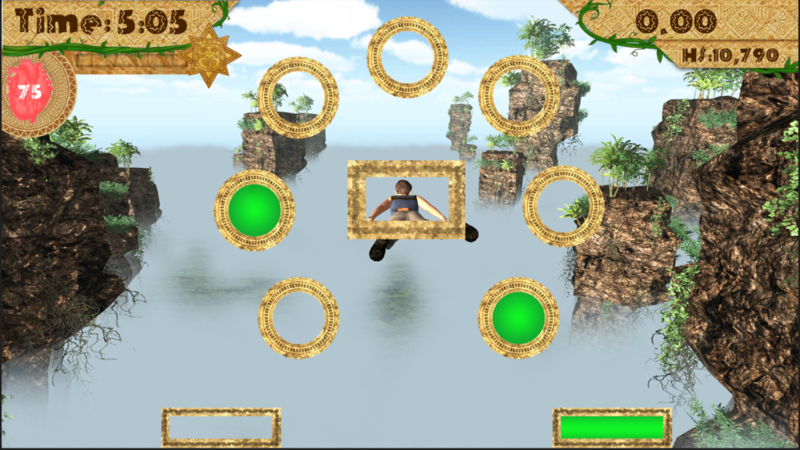 BBT is a novel motion capture video game that integrates cognitive and physical training within one game environment. Research has shown that physical exercise independent of cognitive demands can significantly improve brain function. By coupling body and brain training, BBT is hypothesized to have a greater impact on enhancing cognitive abilities than physical exercise or cognitive training alone. The game challenges all three core aspects of cognitive control: attention, working memory, and goal management while participants respond using full-body movement. Adaptive closed loop algorithms ensure players are working at their ideal target heart rate and cognitive challenge. An engaging action-adventure storyline involving Mayan warriors, rich reward cycles, high-caliber art, and immersive soundscapes keep participants deeply engaged and motivated. Boing was designed to enhance visual-motor skills and processing speed by practicing thinking and responding quickly. These functions are critical for many other important cognitive abilities, such as attention and working memory. The goal of Boing is to improve broad aspects of cognitive functioning by developing underlying visual-motor and processing speed skills. 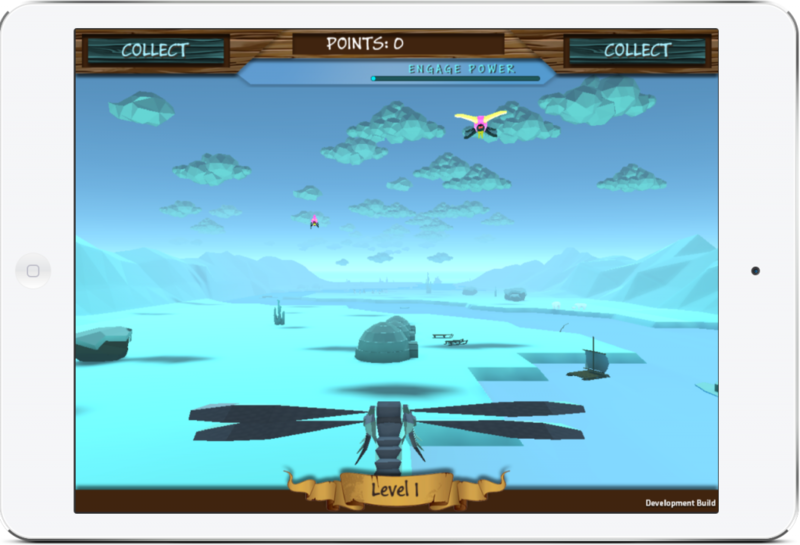 Boing is another Neuroscape game designed for use in a younger population (12-18 years old). However, like all of the technology at Neuroscape, we anticipate that this game can be used in a wide range of populations in the future. Engage is designed to motivate players to strive for high-level performance in a slower, more focused environment that is often avoided but critical for success. The game begins with the a more typical video game environment, rich in stimuli, multitasking, and rapid, extrinsic rewards all leading to immediate gratification. 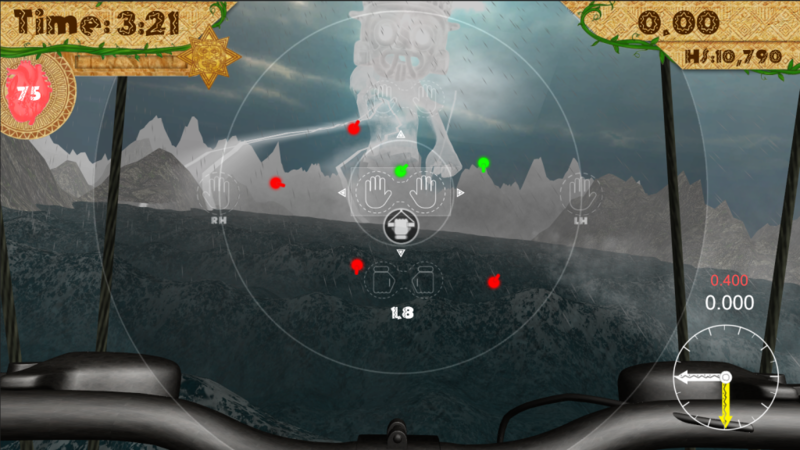 Through gameplay participants adaptively learn to value sparser environment that piques their imagination, while requiring sustained focus and delayed gratification (similar to demands found in everyday environments likes classrooms and offices), ultimately helping them to develop intrinsic motivation essential for success in the real world. 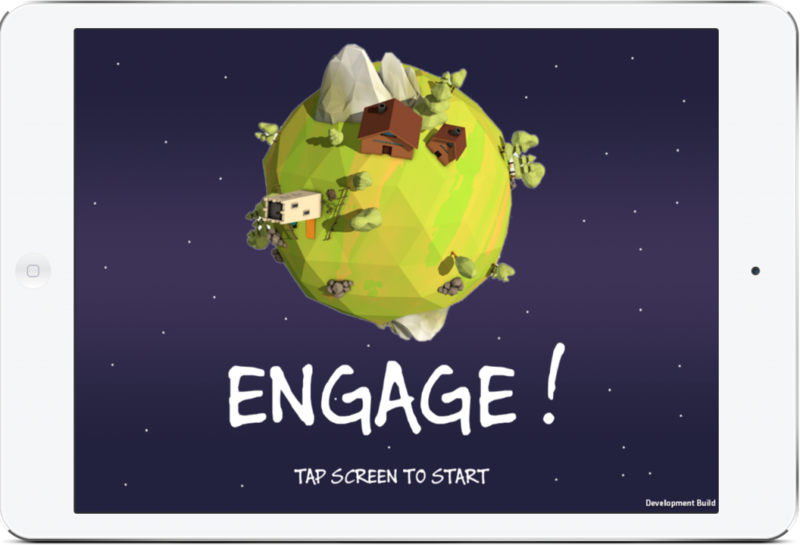 Engage is the first Neuroscape game designed specifically for a younger population (12-18 years old). However, like all Neuroscape technology, the goal is to create interactions that are effective and enjoyable for as broad a population as possible. A 3D brain visualization that combines neuroimaging technologies of MRI and EEG to display personalized, real-time brain activity and connectivity between brain areas. 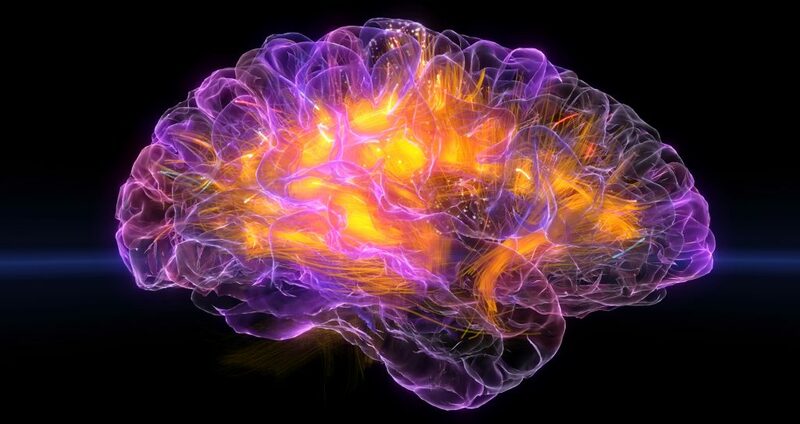 The Glass Brain is a state-of-the-art real-time brain visualization technology that is created on the Unity 3D game-engine and powered by NVIDIA’s GPU computing. 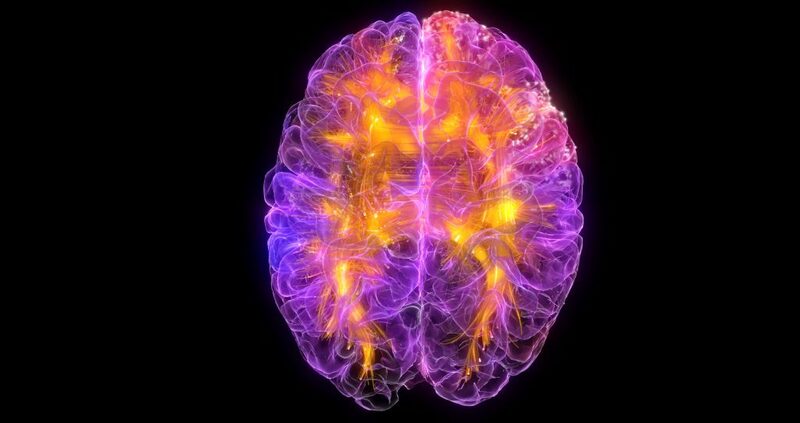 Its inputs include an individual’s brain structure, both tissue and fiber tract architecture, obtained from high-resolution MRI-DTI brain scans. 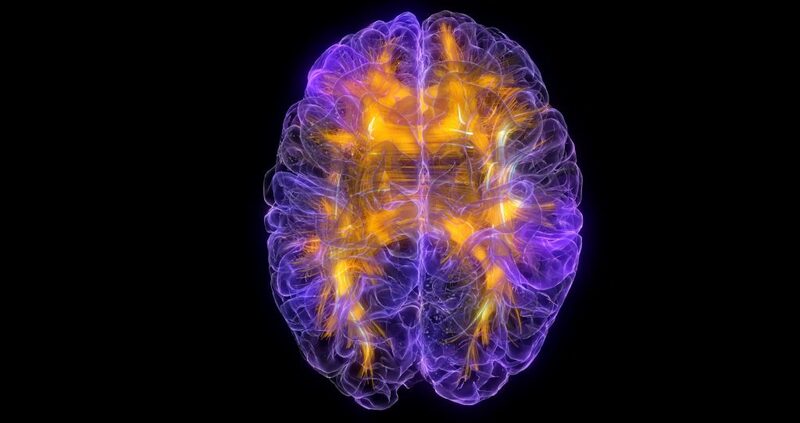 Real-time brain activity and functional interactions among networks are superimposed on the brain structure using high-density EEG (electroencephalography). 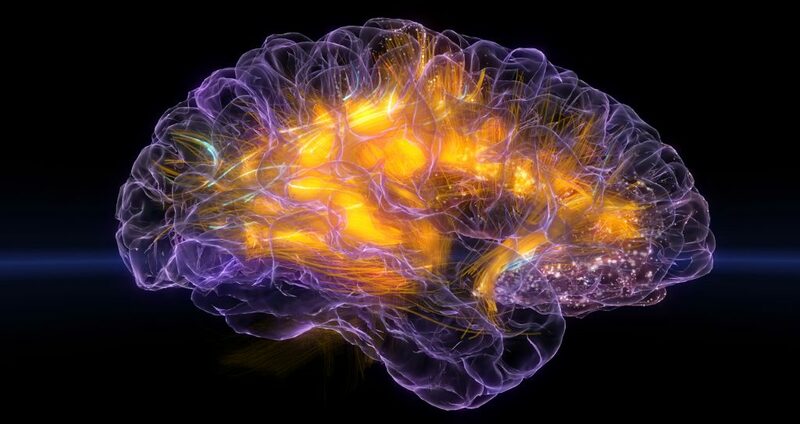 We continuously strive to push computations for visualization more rapidly to allow us to observe dynamic brain networks in real-time. In addition to its critical role in ongoing research projects, where it is evaluated as a scientific tool to create the ultimate closed-loop system (cBCI Project), the Glass Brain has been featured as an artistic piece in numerous art projects, museums and documentaries. 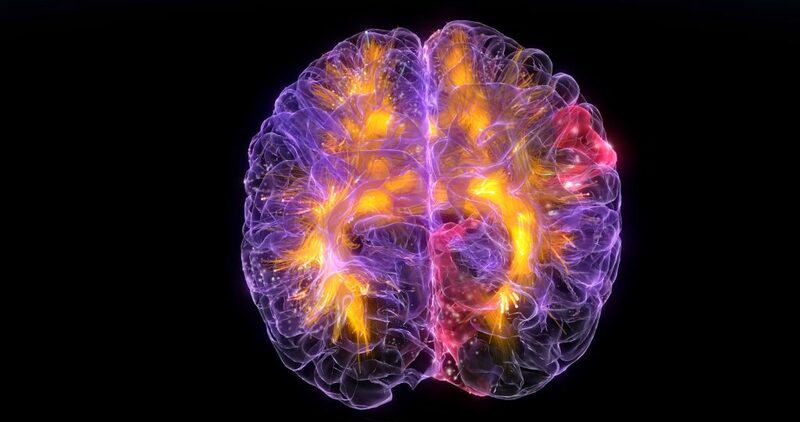 The Glass Brain was the winner of the 2015 Popular Science Vizzie Award for best scientific visualization under the Games & Apps category. 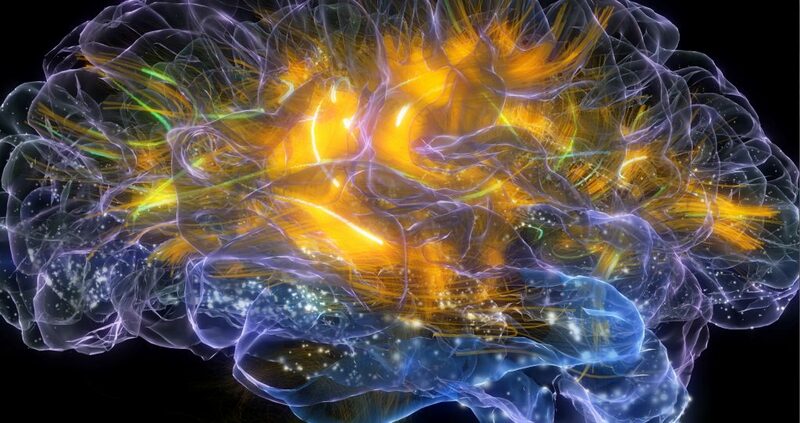 Glass Brain images and videos are the property of Neuroscape at the University of California, San Francisco. 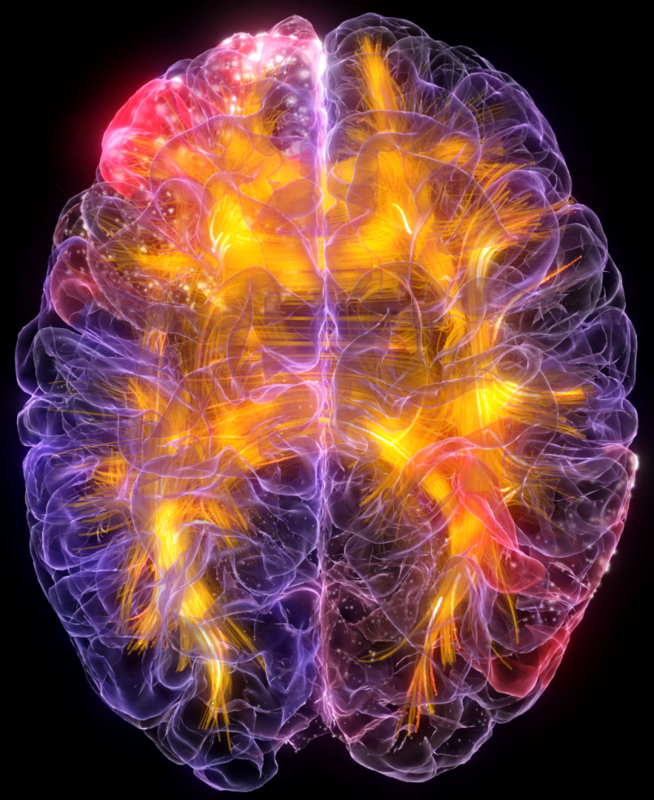 Glass Brain cannot be the primary feature of a website or presentation (e.g., the featured image on your website). For other, non-commercial uses, please include the following attribution: Neuroscape, UCSF. Glass Brain images/videos are not available for commercial use or distribution. 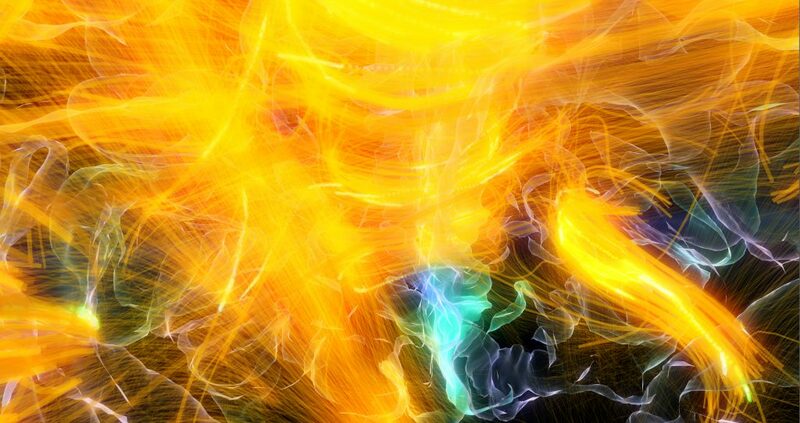 Spatial exploration of unfamiliar, complex environments robustly engages brain networks that enable learning new information. 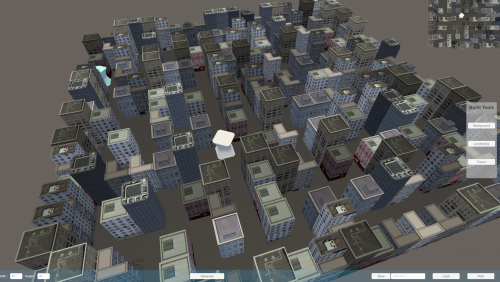 The Labyrinth virtual reality computer game immerses the user in learning new neighborhoods, and then challenges the user to find the most efficient route between landmarks. Along the way, demands increase to attend to details about new neighborhood landmarks. This sort of environmental enrichment vitalizes brain networks that enable learning, which more broadly enhance capabilities in higher cognition. 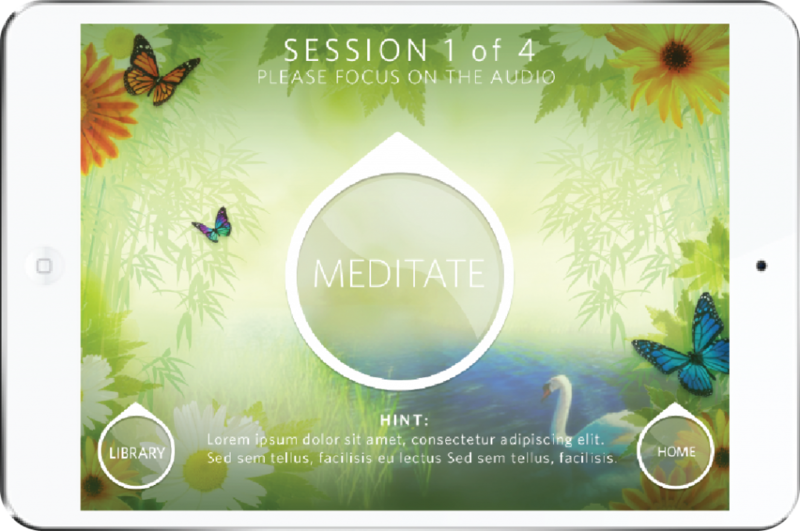 MediTrain is a tablet-based, meditation-inspired, cognitive training game aimed at improving self-regulation of internal attention and distractions. 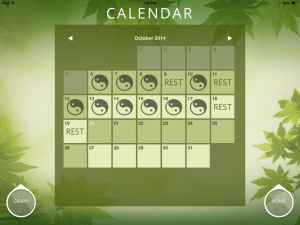 It was developed in collaboration with meditation thought-leader Jack Kornfield, and Zynga, a world-class video game company. It was created to make benefits of concentrative meditation more easily accessible to anyone, including complete novices. 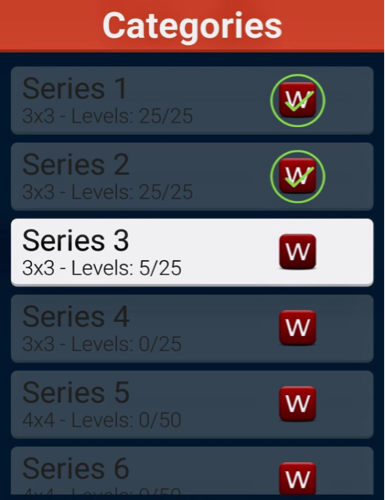 This is achieved by creating a game that yields quantifiable and attainable goals, provides feedback, and includes an adaptive algorithm to gradually increase difficulty as users improve. Neuroracer, the first cognitive optimization video game from the Gazzaley Lab, was launched in 2008 with a general design by Dr. Gazzaley and development by game professionals from LucasArts. 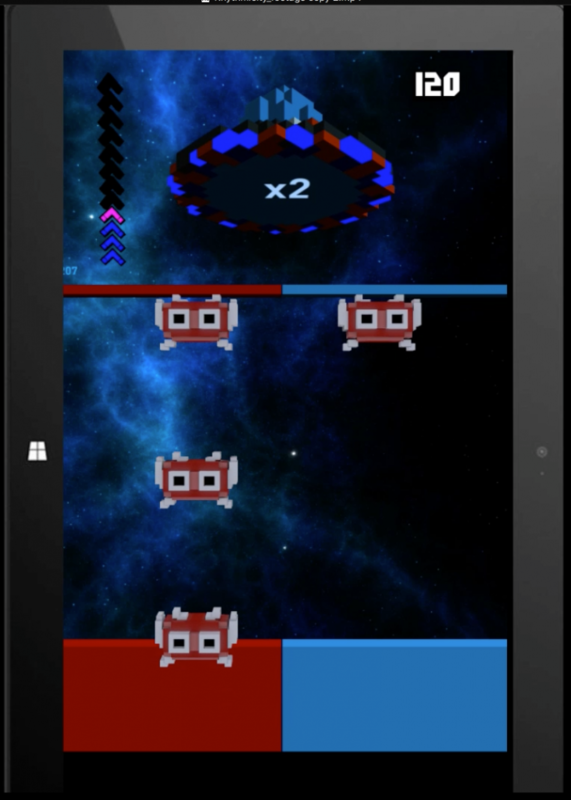 It uses adaptive algorithms to simultaneously challenge players on two tasks, navigating and responding to specific signs. Rewards are driven by participants improving on both tasks, which requires multitasking abilities. 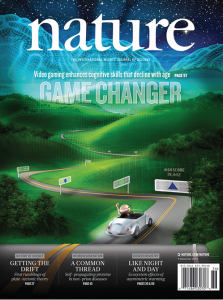 In September 2013, the conclusions of a series of studies showing cognitive improvements in vigilance and working memory in older adults after a month of game play, as well as neural mechanisms of action, was published as the cover story of Nature with a journal title of “Game Changer”. The patent describing the methods behind Neuroracer has been licensed to Akili Interactive Labs, a therapeutic video game company co-founded by Dr. Gazzaley to move this technology into people’s lives. 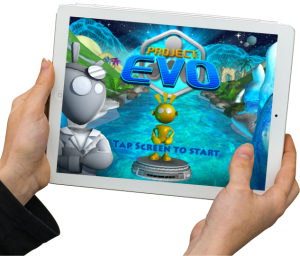 The next generation of Neuroracer, a game currently called Project EVO has now been developed by Akili and is being tested as a diagnostic tool for Alzheimer’s disease and a therapeutic treatment for ADHD, depression, cerebrovascular dementia, autism and traumatic brain injury. Neuroracer is purely a research tool and is not a product available for commercial consumption. Akili Interactive Labs is developing a clinical product in the form of a mobile video game (“Project: EVO”) that is based on the technology behind Neuroracer. The company is currently running clinical trials which will further validate the utility of the new game for use in specific populations. Until those trials are complete, the game will not be available to the general public. We encourage you to visit the Akili website for further news or additional inquiries. Rhythm is a core aspect of how our brain functions at the highest of levels, from perception to attention to memory. 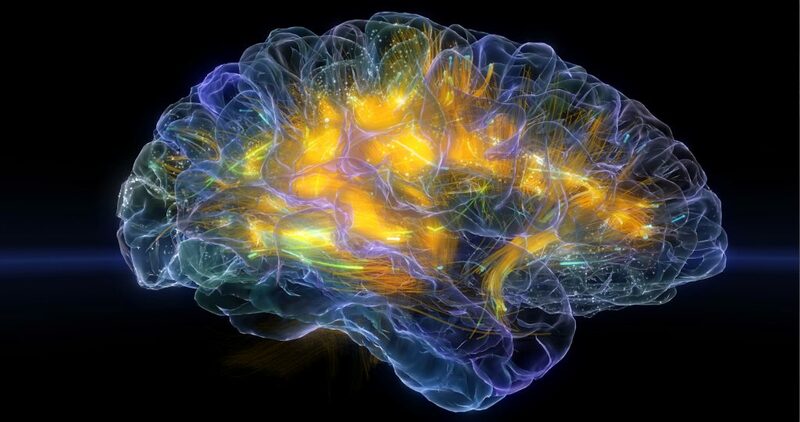 This includes not just the rhythmic fluctuations of neural activity observable in every brain area, but also the very mechanism by which brain areas communicate with each other, now appreciated to involve long-distance synchronization of rhythms across the brain. Rhythmicity is a mobile cognitive training platform designed to teach rhythm with the goal of improving cognitive function more broadly. Inspired by a collaboration with Mickey Hart, percussionist from the Grateful Dead, immersive graphics and adaptive gameplay keep participants engaged in tapping rhythms on a touch screen tablet or drum kit to the music of Thievery Corporation, Rob Garza and Mickey Hart. 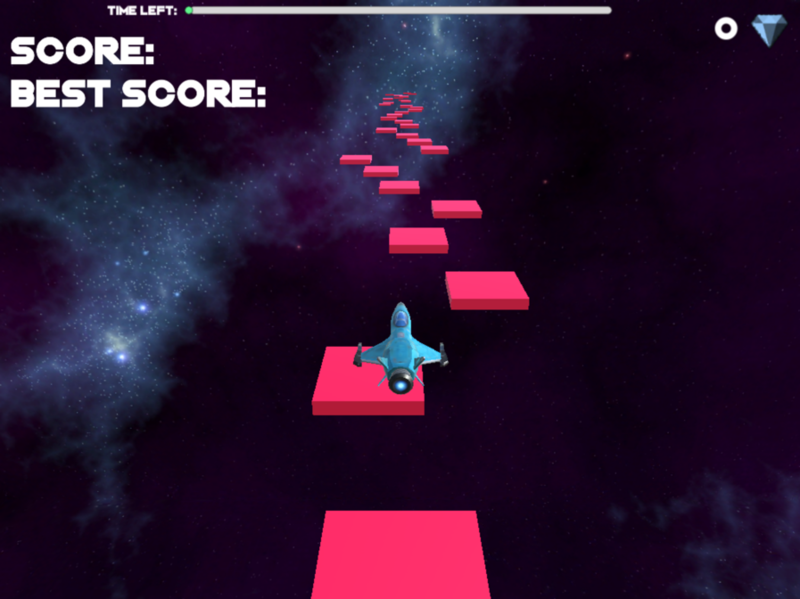 Rhythmicity challenges various forms of synchronization and increases in speed and complexity as the player progresses. Virtual Attention leverages evolving virtual reality (VR) technologies to train individuals to broaden the distribution of their temporal (time) and spatial (space) attention―skills that are critical for real-world activities such as driving. 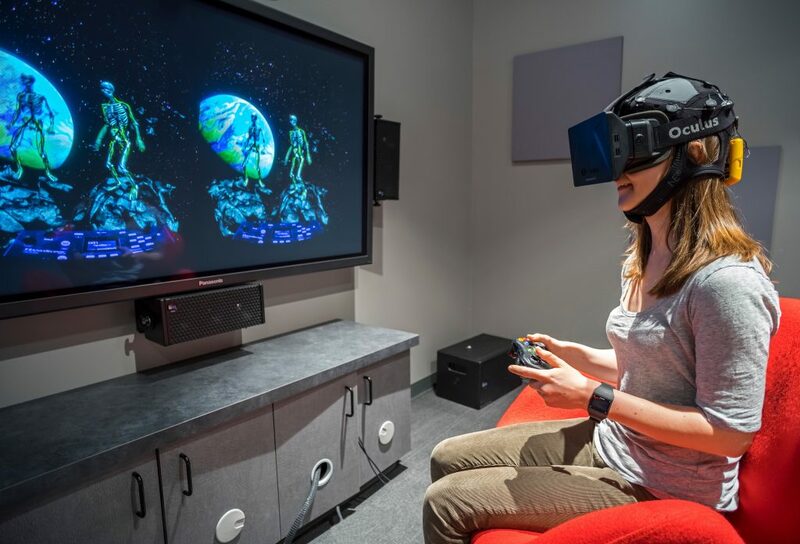 Using industries highest-level head-mounted displays and leveraging recent advancements in VR development technology, participants are immersed in an interactive 3D world for this unique attention training experience. This game is also specifically designed to allow EEG (electroencephalography) recording during game play in VR, providing an unprecedented opportunity for neuroscientists to track and verify the training effects of VR on brain using neural metrics such as EEG power spectrum and event-related potentials. Also, this unique gaming platform will lay the foundation for exploring neural predictors of VR-induced behaviors. Worder was designed to enhance visual motor and visual spatial skills in individuals of all ages and cognitive abilities. 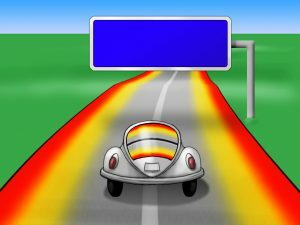 Visual processing is required for all cognitive abilities that involve vision including attention, working memory, and task management. Worder’s goal is to improve cognitive function more broadly by developing this critical skill underlying multiple abilities. From our very beginnings as Gazzaley Lab, we designed and programmed our own cognitive paradigms to be coupled with neural recordings to better understand the neural mechanisms of cognitive control. The cornerstone of all cognitive science research is the implementation of precise paradigms to challenge an individual in a specific way, so as to learn how their brain functions. While many psychology labs and cognitive neuroscience labs use paradigms that have been developed by previous scientists, we have always valued the creative process involved in paradigm design. This tradition began with a series of working memory paradigms designed by Dr. Gazzaley in the early 2000s (e.g., MAP, AID, Overlap), which has subsequently been used by many labs around the world and appears in dozens of publications. Experience in the process of cognitive paradigm creation is the basis of Neuroscape’s evolution as a video game designer/developer.